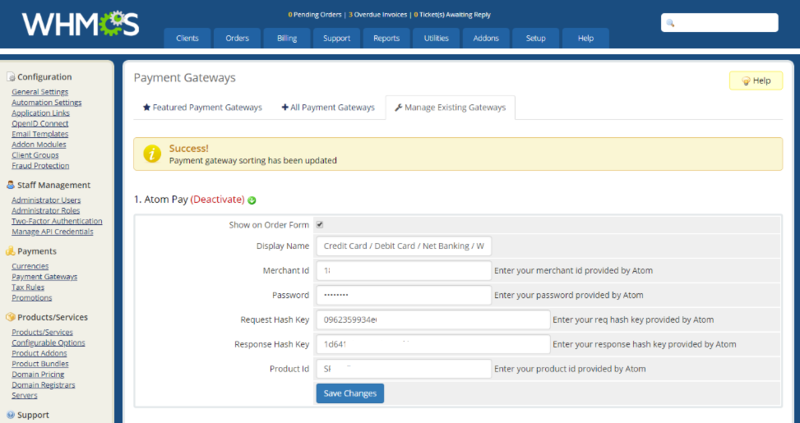 Test Mode: Test the payment Gateway with test card provided by WHMCS / Atom Pay. This extends WHMCS to accepts money/payments through Atom Pay. 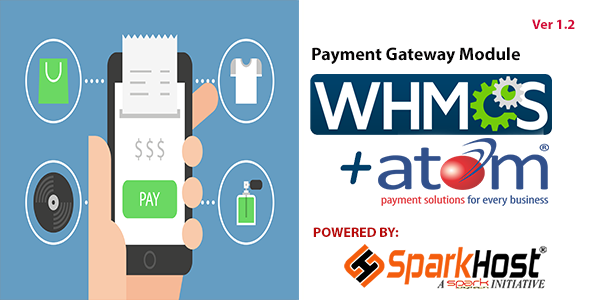 atom technologies limited is India’s leading payment service provider with 150000 plus clients (all channels) leading merchant tie-ups and has seen more than 150+ million transactions processed through its payment platforms and 10 billion USD volume processed per year, integrate it with your Billing Software WHMCS. Atom, are trademarks of Atom Technologies, Atom is a leading omnichannel payment service provider in India. They offer secure and efficient online payment gateway across India. atom is the best payment Gateway in India and other countries. This Plugin is third party plugin made by SparkHost® Web Solution Ltd. and is not owned or made by WHMCS or Atom Technologies. This plugin will not work without proper subscription/agreement with Atom Technologies & WHMCS.